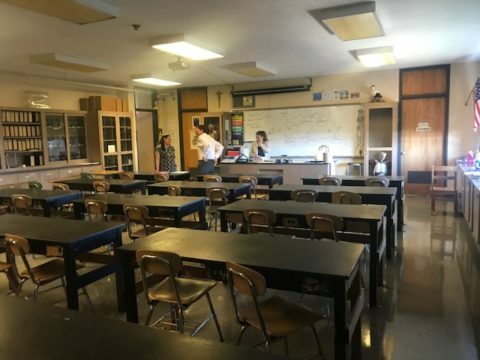 Following the completion of a Life sciences learning space at The Holy Name School, S+B USA receives excellent feedback from Ed Reynolds, the school’s Principal. “I wanted to take a moment this morning and thank you both for the outstanding work and dedication provided by both of you to make our vision for a brand new, cutting edge life sciences learning space a reality. The space is truly impressive and is getting glowing reviews from everyone who has seen it. With just a few minor details left to take care of, I’m extremely pleased and proud to project that we will come in on time and on budget; a testament to everyone’s professionalism, devotion and passion to provide and to support an outstanding educational experience for our students.